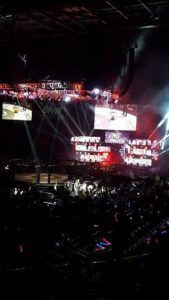 ONE FC announced that they will hold a grappling competition on the same day as the MMA event ‘Heros of the World’ in Macao only 3 weeks ago. 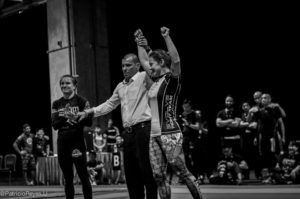 I noticed that the prize money on offer was the same for men and women, which unfortunately is still really rare in the jiu jitsu world. 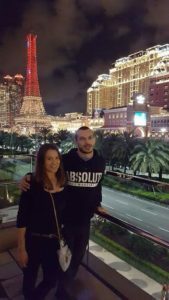 Additionally, the organisers were putting everyone up in a hotel for a night in Macao, therefore offloading some of the travel costs. When Lachie and Craig decided to compete, I asked my work if they would give me a day off on Saturday and after they agreed, I booked my flights. 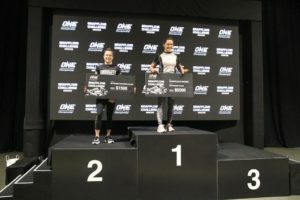 I entered the Elite division, which was for women with 5 + years of grappling experience and black belts. 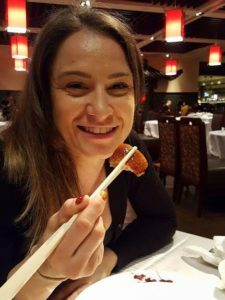 I knew that my idol Michelle Nicolini would be fighting in the same division, but I never back away from a challenge. In my opinion, the more experience I can get fighting the absolute best in the world, the better. It was only a couple of years ago, when I first attended Michelle’s seminar as a blue belt. Our flights were brutal. 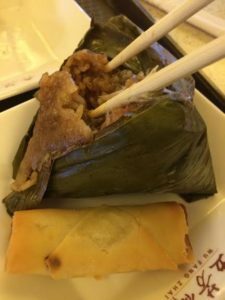 We left Friday lunch and got to Hong Kong lat at night. When we checked into the hotel, I had a minor panic attack. For those who don’t know, I get pretty claustrophobic. In fact, it took me years to get over it when training and competing, but I still hate small, confided spaces. Our tiny room had no windows and a small double bed and that was enough to make me freak out and run outside. Since it was nearly midnight and we really needed to get to sleep, I had no choice but to take a deep breath and go back inside. After a terrible night’s sleep, we got up early and sailed on a ferry to Macao. 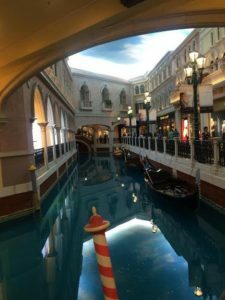 We went straight to the competition venue, which was the impressive Venetian Hotel. 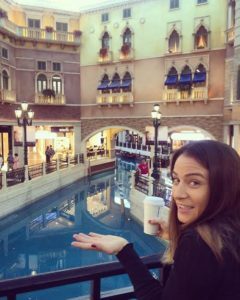 I felt like I was in Vegas with all the shops, bright lights, canals, gondolas, chandeliers and masses of people, who mainly were there to shop, gamble and eat. The boys were up first. Mikael unfortunately lost first round by toe hold, Lachie lost a very questionable ref’s decision and Craig fought his way to a third place in the stacked Elite heavyweight division. I had a three person division. First up was Angela Lee and I. Angela is a young MMA phenom, and ONE FC Champion. I pulled guard quickly, but made some mistakes and had to turtle. 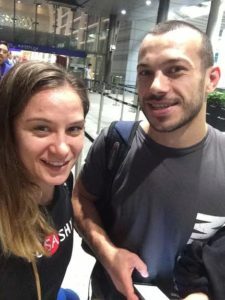 Angela tried to guillotine me, but after months of doing our ADCC submission specific training, I am pretty used to being in bad spots and didn’t panic. 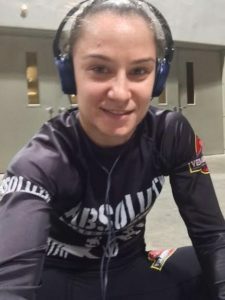 I got out of a submission threat and quickly regained my composure and set up single x. I swept and attacked her foot, but as a response Angela grabbed my leg and reaped hard, which caused her to get disqualified. It’s not a good feeling to win that way, as I really wanted to dominate and show good BJJ. Angela then fought Michelle, and lost by toe hold, which meant Michelle and I were set for a final. I still pinch myself that I got to compete against my idol. 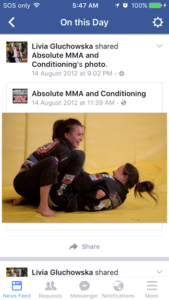 3.5 years ago when I was a blue belt Michelle autographed my belt for me and now I got to tap hands with her in a competition. 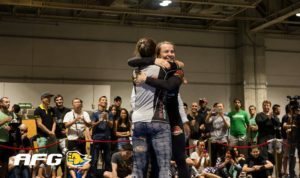 It was such an honour knowing that I would be fighting my favourite BJJ fighter in the final, however I had to be careful not to be as start struck as I was in Abu Dhabi World Pro and make myself believe I deserved to be there. I pulled guard quickly and we spent some time grip fighting. I defended a few toe hold attempts and then locked in a kimura trap from bottom half guard. I transitioned to an arm bar set up, but it was sloppy and I never controlled Michelle’s posture, so she escaped without a problem. 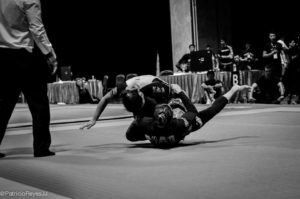 As I spun back to recover guard, I was caught in a tight toe hold and tapped. 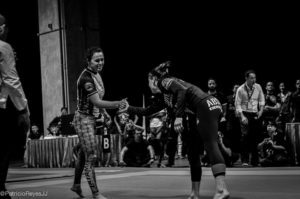 It wasn’t my greatest show of jiu jitsu, but the experience alone is worth more than any medals. I am proud of the work I put in and I know that I am always improving. However, I have such a long way to go to hang with the best, let alone to be competitive at the highest level, but I guess that’s what gets me to training every day and strive to be better than yesterday. Step by step, I will try to close the gap and be the best I can be. 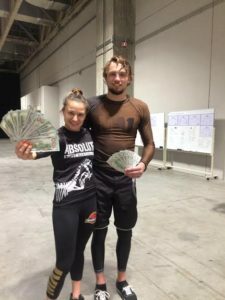 I received $US1500 for my efforts, which will go towards paying for my flights to Hong Kong and for flights to No Gi Worlds. 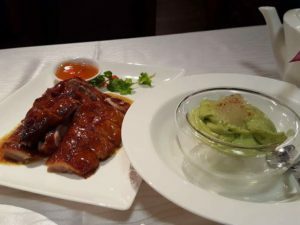 We spend the rest of the day having a look around the casinos, eating some delicious local cuisine and watching ONE FC. Exhausted, we went to sleep early and woke up at 5.30 am the next day to catch the ferry back to Hong Kong, then boarded the plane back to Australia. We landed at about 11pm on Sunday night, and I was back at work at 8am on Monday morning. In all, it was a fantastic weekend, but extremely exhausting. 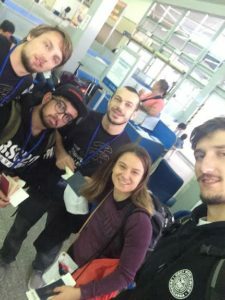 It was totally worth the long travel though, and we will be back for future ONE Grappling events. The organisers made us feel welcome, everyone had a great time and the prize money on offer was a major drawcard. On a personal level, I loved fighting the best athletes on the planet, and it can only make me a better, stronger and a smarter athlete.